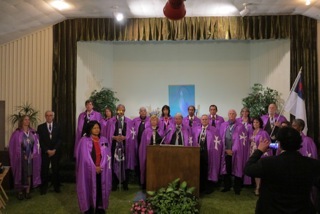 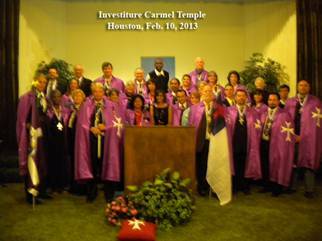 We are pleased to announce that SMOKH, forming part of the United Grand Priories of the Hospitaller Order of Saint Lazarus of Jerusalem conducted yet another successful investiture in the Carmel Temple in Houston on the 10th of February 2013. 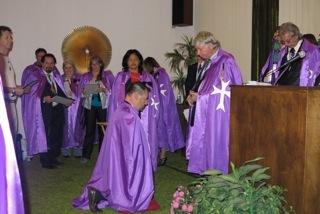 An impressive amount of new Knights and Deacons joined the Order. 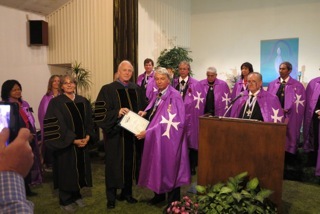 The investiture was executed after a productive Sovereign Council Meeting which was held on Feb. 8th and a number of educational, medical meetings and presentations were held on the 9th and 10th of February as well.